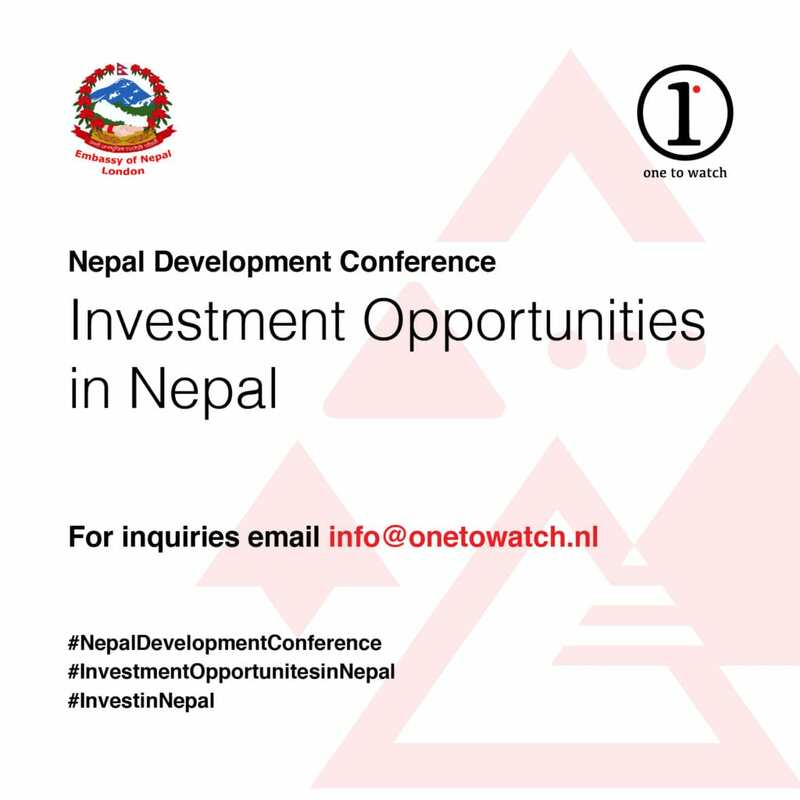 The Embassy of Nepal in London and One to Watch are jointly hosting the Nepal Development Conference: Investment Opportunities in Nepal, in London on 22 February 2019. This conference aims to promote Nepal as an investment destination among the British and European investors and the Nepali diaspora based in the UK. The conference will bring together the relevant stakeholdersto discuss the investment opportunities in Nepal and the investment and business landscape of the country. During the conference the ten Small and Growing Business, accelerated by One to Watch through its flagship Enterprise Business Accelerator Program, will pitch their investment cases.